Welcome to the land of high culture and cool kitsch that is a placard of the lush, peninsular south. Nestling at the feet of the Vindhya Range, this linguistically sundry dominion chalks the bottomline of Indian tourism industry. With the sound of roaring waves on all sides, this is where you can savour a perfect beach comfort like nowhere else. Everything about sunny and tropical, resting underneath swaying palm trees that add an ambrosial colour to the landscape. 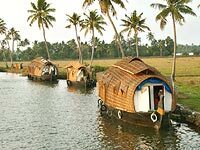 South India is bold and beautiful - the ornately sculptured temples, the intense carries, emerald green backwaters as far as the eye can see. 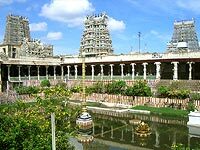 Come to Andhra Pradesh, where the pearls of Dravidian culture and heritage bloom in their full colours. And there is so much to do in the Nizam's capital..where the dreams of ancient splendour and vestiges of proud history converge to form an army called Karnataka, that marches to the rhythm of a silicon drum, comforted by the breath of wilderness pulsating with the diversity of life. Fall in love with the sublime French flavours and high spirituality co-existing on the sun-kissed shores of Pondicherry. And if you think, you have seen the whole of India, come to Tamil Nadu. Nurturing a culture for over 3,000 years, it has gave birth to some of the greatest dynasties of the south. 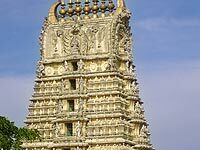 Behold their legacy, preserved for you in countless temple towns, the spires looming high above the coconut trees. Unleash yourself on the silvery beaches or dive into a web of brackish lakes and emerald backwaters and then rise up your spirits with a rejuvenating Ayurvedic regime in Kerala, God's Own Country. And if still your thirst for adventure did reach newer heights..savour a different tint of adrenaline on the lap of nature at Lakshadweep and Andaman Islands. They might seem small spots of green earth on the great blue cradles of water, but the beauty of virgin nature and adventure trails they provide belies their girth. Still not an end. You can also pick up prized souvenirs reincarnated as tribal handicrafts. No doubt, the land of multitudinous riches is applauded as Koh-i-noor (mountain of light). a befitting name for a region glowing with treasures. Come in.. its your holiday, make it unique. You might call Kerala the home of the refreshing monsoons. After a hearty shower, the emerald waterways ride high, a green flash rejuvenates the land, the very air throbs with thunder and the aroma of moist earth. And in the heart of this beauty, nestles the promise of a wonderful therapeutic regime, Ayurveda, the ancient Indian way to good health. 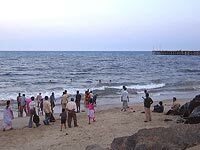 The smile of Murugan casts a silent spell over the human face-shaped Tamil Nadu...a land whose fabled coast attracted a thousand invaders over centuries to steal emotions..a land that is still visited by spawning turtles and a million devotees..each one enchanted in a unique way. Tales of romance, bestowed by courage, adoration of a legendary sword, and by sacrifice.. Listen to the tales of stupendous palaces and magnificent temples that still pulsate with the Nizami glory. 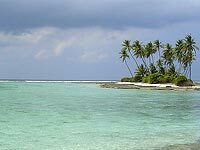 Walk along the loudmouth beaches and rest underneath lanky palm trees that fringe emerald waters and magical sands.. Nearby, black panthers and hungry crocodiles tease an enraged river into a rapid fury.. a moment of merriment, an experience for a lifetime. Transcend newer spiritual dimensions with meditation at the tranquil sectors of Aurobindo Ashram, relax amidst picturesque ambience that reverberates with bygone French prowess, get a tan on the silvery beaches or simply pick up exquisite handicraft items, Pondicherry is famous for. Here life is itself a beach. Emerald waters, golden sands, pristine air, no mobile interruptions, just a hassle free holiday with your loved ones. Dive deep to reveal a world of corals, sail high to see lush florals, unleash yourself on the sun-kissed sands..Live your life.. Turn the wheels of your holiday in the Land of Tipu Sultan with adventure trails and relaxing over an ayurvedic massage with this memorable tour to Karnataka. A Portuguese legacy, Goans celebrate the Carnival with dances, music, food and that surely casts a spell. Come, be a part of it. The former kingdom of Kalinga , Orissa is the haven of the exquisite Sun temple at Konark.